After seven days of talks between Syria’s warring factions, a glimmer of hope has emerged from the Swiss city of Geneva. After seven days of talks between Syria’s warring factions, a glimmer of hope has emerged from the Swiss city of Geneva. 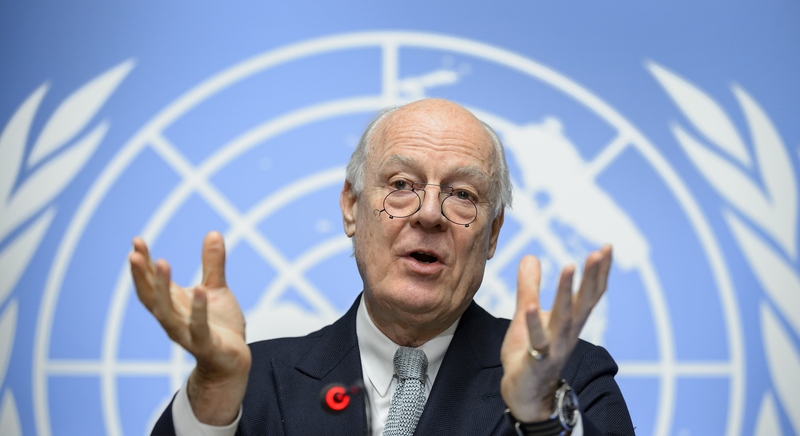 While UN envoy Staffan de Mistura has cautioned against “excessive expectations” he insists the sides have made a “good start” to the multi-round negotiation process. Backed by a UN Security Council Resolution, Mr de Mistura is proposing the sides agree to implement three ‘baskets’ – a new Syrian constitution, UN-supervised elections and a transparent and accountable government. President Assad wants combatting “terrorism” included as a fourth basket. But the opposition has dismissed this, insisting the regime would manipulate such an initiative to undermine their position. For their part, opposition groups want a ‘political transition’ (read: the removal of Assad) to be front and centre of future talks. Moscow has played its part, reportedly pressuring the Syrian government to consider this talking point and sending Deputy Foreign Minister Gennady Gatilov to meet with opposition representatives. While significant divisions remain, there’s cause for restrained optimism; opposition negotiator Nasr al-Hariri saluted the “deep discussions” over the past week. Talks are set to resume on March 20.